DMRC (Delhi Metro Rail Corporation) invites e-tender in prescribed proforma on Limited Tender basis, for EIA & SIA Study for preparation of DPR for Metro Corridor from Ghodbander to Virar (including one depot) in Mumbai. 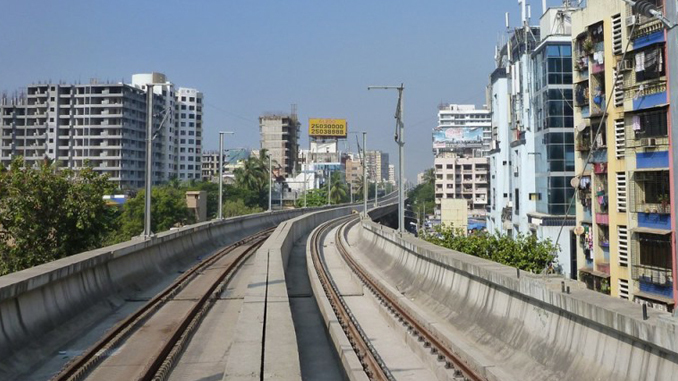 Name of work: EIA & SIA Study for preparation of DPR for Metro Corridor from Ghodbander to Virar in Mumbai (24 km approx.) and one depot (20 hac approx.). Tender, along with all details should be submitted online on the website https://eprocure.gov.in/eprocure/app upto 15:00 Hrs. on 18.03.2019. Late tenders (received after date and time of submission of bid) shall not be accepted under any circumstances. Tender will be opened on 19.03.2019 at 15:30 Hrs. Tender will remain on sale from 08.03.2019 to 18.03.2019 up to 15:00 Hrs on e-tendering website https://eprocure.gov.in/eprocure/app .